ADA compliant when installed to a 1 inch (25 mm) thick slab with wall-mounted or single-hole, single-control faucet. Pallene(R) vessel glass bathroom sink The Pallene glass sink displays an intricate, classically inspired pattern on its underside. The smooth surface of this basin highlights the finely detailed design for strong visual appeal. 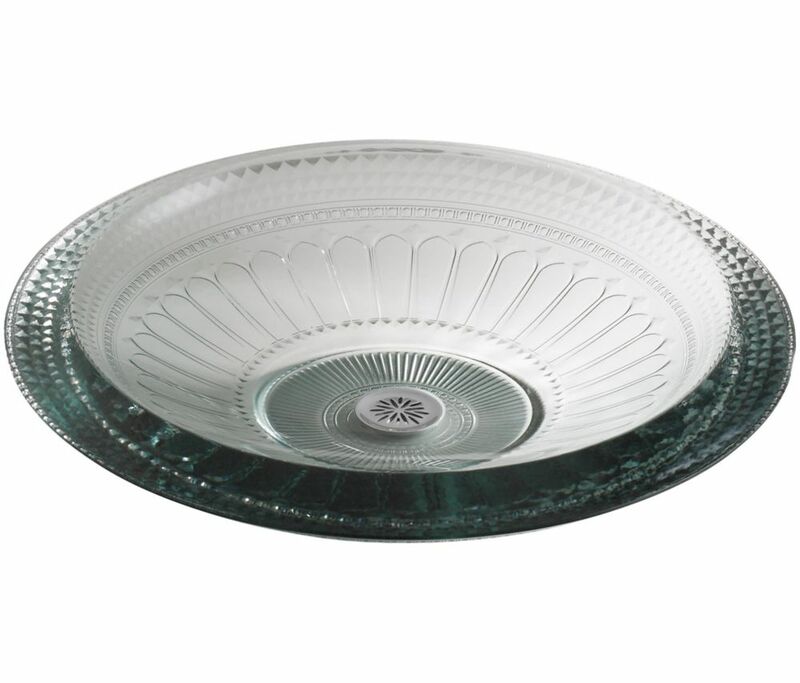 Pallene(R) vessel glass bathroom sink is rated 4.0 out of 5 by 1.